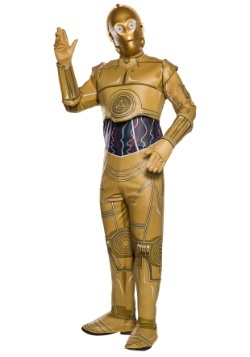 "Greetings, I am C3PO, human-cyborg relations, at your service!" 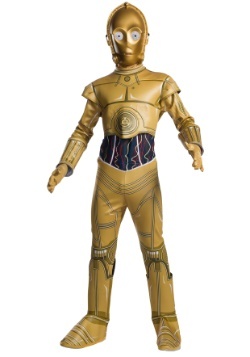 C3PO is everyone's favorite protocol droid. His bumbling antics along with his partner R2-D2 saves the day for the Alliance time and time again. Fluent in over 6,000,000 forms of communication (including the binary language of moisture vaporators) his useful droid abilities and flighty personality allow him to provide comic relief throughout the Star Wars saga. If you've got a Star Wars themed event or a holiday around the corner (May 4th?) 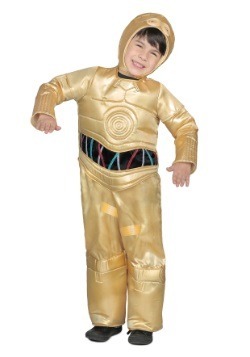 our signature C3PO costume will be a great choice. 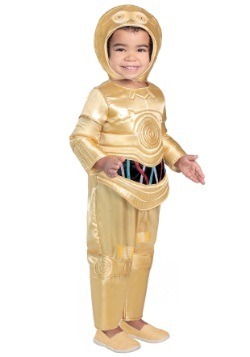 We've also got kids C3PO costumes and our toddler costume is a staff favorite for their little ones. 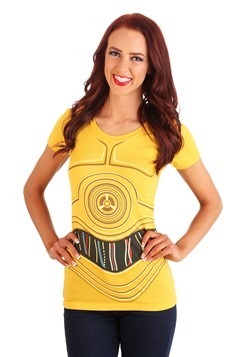 Show everyone who your favorite droid is!